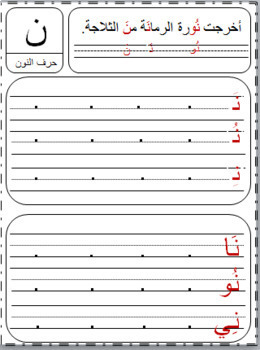 Arabic letter worksheet ( harf noon), its a good worksheet for practicing arabic letter, different exercises practicing writing Harf Noon, recognize this letter. 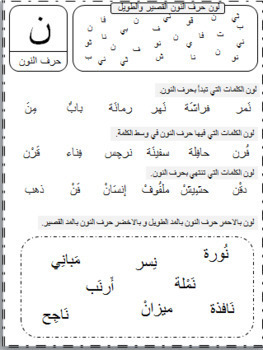 learn how to write Harf Noon in the begging, in the middle and the end of the word. this worksheet may use in classroom, homeschooling ..... Not allowed to sell it again. 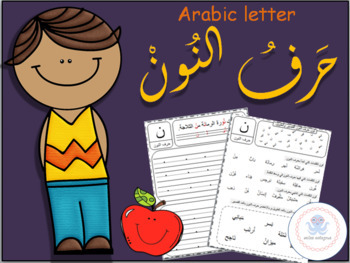 arabic letter by Adjdir Nawel is licensed under a Creative Commons Attribution-NonCommercial 4.0 International License.